I knew Oregon’s southwest corner, around Medford, for its wild beauty, where iconic Oregon rivers like the Rogue and the Illinois tumble through the deep seams of the Siskiyou Mountains. But it was a treat — literally and figuratively — to discover this same lush landscape is home to a thriving artisanal food and wine scene. Turns out the rural backroads west of Medford lead to a foodie’s bonanza, from Rogue Valley wines to local cheeses, chocolates, meats and produce. After all, Harry & David built a famed food-gift-basket empire from these fertile valleys. Noted photographer and horticulturalist Peter Britt planted the state’s first wine grapes here in the 1850s. 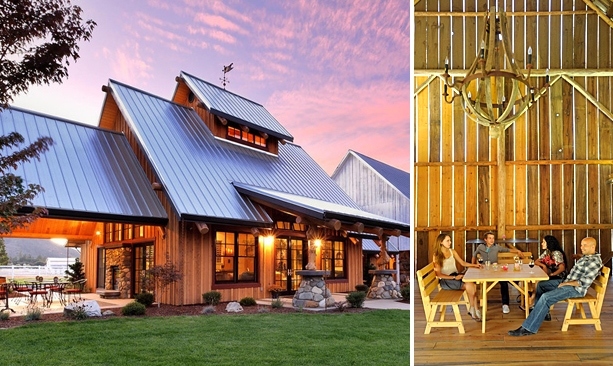 What better place to spend a weekend touring and tasting? 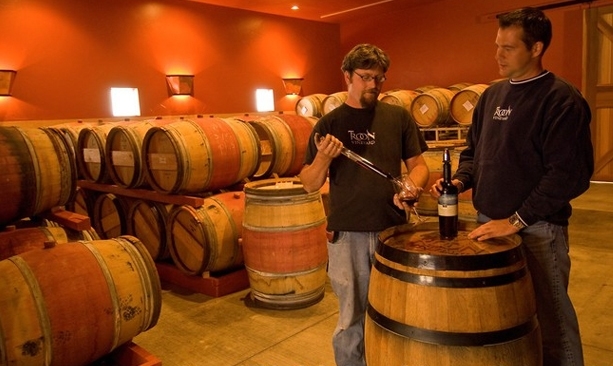 With well-mapped wine trails, it’s easy to explore Southern Oregon wineries on your own. But for a more “grape to glass” education, my friend Jennifer and I signed on with Southern Oregon Winery Tours for a daylong tour of the Applegate Valley AVA (American Viticultural Area, or wine-growing region) that included behind-the-scenes peeks into vineyards and barrel rooms. With knowledgeable Aaron Desilva at the wheel of a sleek black bio-diesel-powered Sprinter van, we were soon twisting along the Applegate River toward one of Southern Oregon’s oldest wineries, Troon Vineyard. “Our whole area is crazy with microclimates,” explains Troon’s winemaker, Herb Quady, as we wander through rows of gnarled cabernet vines. 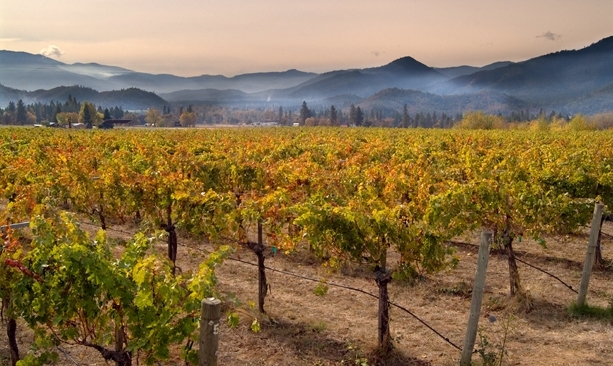 “Our vineyards are on the lower flanks of very rugged mountains. The width of the valley, the slope and the angle all play a role in what grapes do well where.” With a sunny, dry growing season, the Applegate Valley can grow warmer climate varietals than much of Oregon; cabernet sauvignon, merlot, zinfandel and syrah dominate here. Quady leads the way into a room with rows of oak barrels stacked three-high, the chilled air pungent with fruit. He produces what looks like a long turkey baster — called a “thief” — uncorks a barrel, extracts a sampling of a 6-month-old zinfandel, and splashes it into a glass. We’re essentially getting a sneak preview of a wine that won’t be bottled for another year, sipping as Quady explains the blending and aging techniques that will add layers of complexity to Troon’s award-winning vintages. Next up is Serra Vineyards, where managing partner Liz Wan greets us in a T-shirt that reads “Southern Oregon: Bring a Corkscrew.” With a brand-new tasting room overlooking a hillside striped with vines, Serra is the new face of a longtime area vineyard. Wan’s ebullient personality and the striking rural view underscore the authentic, unpretentious nature of Southern Oregon’s wine industry. It takes wine back to its roots, I suggest — back to an agricultural product. “It doesn’t get any more real than what’s happening in Southern Oregon right now,” she agrees. “We’re real people with real pocketbooks trying to figure it out.” A sip of Serra Vineyards syrah, with spicy, smoky undertones, makes me think they’ve found their way. The earthy Spanish grape tempranillo is the focus at Red Lily Vineyards, our third and final stop. I’m enamored with the bold and well-balanced releases produced by Rachael and Les Martin’s 6-year-old winery. But as terrific as these wines are, they risk being upstaged by Red Lily’s incomparable setting. Les leads us through a special events space that looks right out of an interior design magazine, an 80-year-old barn with huge hand-hewn beams, wine-barrel chandeliers and other rustic-elegant touches. The Applegate River burbles nearby, where guests often hang out at picnic tables along a sandy bank. A summer return trip is definitely in order. 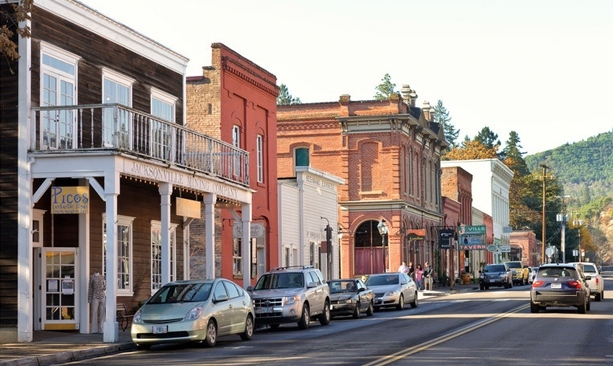 We wind up the day back in Jacksonville, a historic gold-mining town filled with locally owned shops, galleries and restaurants. Happily, I have a cottage booked at the delightful Jacksonville Inn. Not only are the accommodations luxurious, the historic hotel’s Dinner House also showcases the local bounty — wild mushrooms, artisanal cheeses, Rogue Valley vegetables — and one of the largest wine cellars between Portland and San Francisco. The inn’s downtown location also puts guests within strolling distance of the beloved Britt Gardens and the Woodlands Trail System, which rambles through forests of fat red madrones. 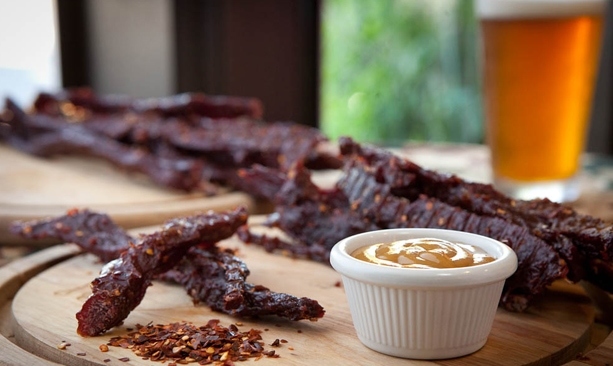 Another must-stop for foodies — Gary West Smoked Meats — is just a few blocks away, too. Exhibit A: the silky, satiny chocolate whirring in vats and oozing into molds in Lillie Belle’s Central Point headquarters. Shepherd sources top-quality, heirloom cocoa beans from all over the world, which he roasts and grinds in-house. The result is an intense, rich, not-too-sweet bar that has nothing in common with that waxy stuff I ate as a kid. Next door, Rogue Creamery takes pretty much the same approach with cheesemaking. Its ramshackle assortment of old buildings belies a persnickety focus on top-quality, handmade cheeses. Rogue is most famous for its family of blue cheeses, still crafted in the 1957 facility designed to replicate the precise conditions of the caves used for curing cheese in Roquefort, France. Cheese shop manager Tom Van Voorhees whittles off a slice of Crater Lake Blue (named for one of Oregon’s 7 Wonders) from a dairy case of foil-wrapped wheels behind a chalkboard that proclaims, “THIS IS BLUE HEAVEN.” And to a cheese fanatic like me, it is — buttery and briny with a hearty tang. Just like wines, Van Voorhees says, Rogue cheeses are “totally about terroir,” reflective of the quality of the glacial water and the fresh grass consumed by the carefully monitored dairy herd that supplies the creamery’s milk. 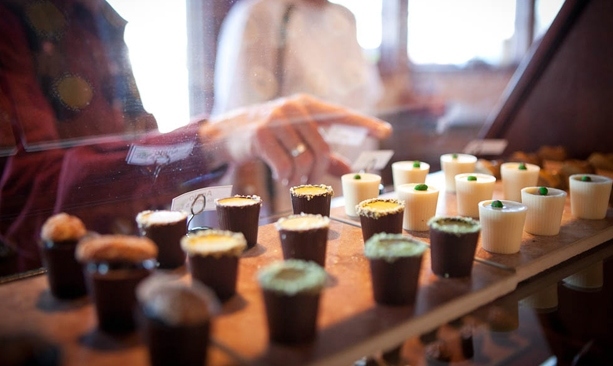 And what makes a tasting trip through Southern Oregon such a delicious pleasure. 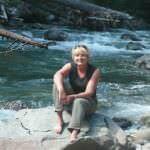 Tina Lassen is a nationally published freelance writer who frequently writes about travel and outdoor recreation. Her features have appeared in National Geographic Adventure, Alaska Airlines Magazine, Endless Vacation, USA Today and several other publications. She also has authored and contributed to several guidebooks for Fodor’s, Frommer’s and the National Geographic Society’s Books Division. Thanks to a career that lets her live anywhere, Tina happily writes and recreates from her home in Hood River.